Review: 'Betrayed' starts just where 'Marked' finished. The newly marked yet completely out of the ordinary fledgling Zoey Redbird, has now been given the huge responsibility of becoming head of the Dark Daughters. This is a huge honour among the 'House Of Night'. Just like 'Marked' this novel is predominantly from Zoey's viewpoint. The pace of 'Betrayed' is more intense than 'Marked', with Zoey's intuition playing a huge part in the story. I really loved the twists and turns in this novel. It had me on the edge of my seat and all I could say was "Woah" as the twists were major leaving me begging for more. But can Zoey trust Aphrodite or is her enemy up to no good to discredit Zoey? In order to regain her status as head of the Dark daughters. I never liked Aphrodite in the first novel yet at times I do feel sorry for her in the second. Although I am still wary of her throughout the novel, she's always too good to be true. The imagery and description of Zoey wanting blood is intense and strangely PC and Kristen Cast have made it sound as beautiful and delicious as chocolate. Which is worrying considering I'm not a fledgling/Vampyre. What really freaked me out about this novel was the scenes between Heath and Zoey making out. These scenes are both very intense yet a little odd. The reason I say odd is because this novel was written by a mother and daughter. I truly love the closeness of Zoey and her best friends Stevie Rae Erin Shaunee and Damien. The sad twist has me in knots and I'm in awe of what happens next. It makes me think about my close friends and family in a huge way. It made me realise more than ever before that the people around me are more than amazing. Zoey's grief is so strong and powerful that it actually brings you down a little. Zoey is such a loveable character that you just want to comfort here and see that she comes out on top. The character that surprised me in this novel was Nefret. I adored her in 'Marked' but let's say it's all change in the latest edition. The ending was intense yet beautiful and intriguing. I can sense that 'Chosen' will be an even better read than 'Betrayed' as Zoey has made some unlikely enemies. Great book! I could not put it down. Lots of excitement and thrills from beginning the end. 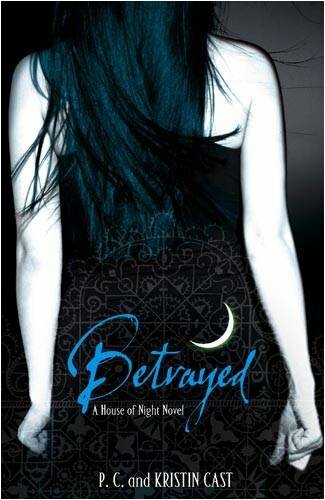 I definitely recommend it to all avid Betrayed fans! I have never read any YA fiction but https://hitthegrade.com/ posts a lot of book reviews so I got a little bit interested. As a result this series of fantasy is my favourite one. Especially, Betrayed.